The cinnamon you sprinkle on your cappuccino or fold into roasted squash (or wherever!) can do more than add a hint of spicy sweetness. With its antioxidant, anti-inflammatory and antimicrobial properties, cinnamon has been used to calm tummy troubles and even ease bronchitis in some cultures. Now, modern science is putting its stamp of approval on this spice, as both a food and a supplement, as researchers study its benefits for some of our most devastating diseases, according to Leo Galland, MD, director of the Foundation for Integrated Medicine in New York City. But it has to be the right kind of cinnamon—or you’re not getting the benefit you could. Diabetes. A study published in Nutrition Research found that a daily dose of 120 mg of cinnamon extract reduced blood sugar by 7% and that a daily dose of 360 mg reduced it by just over 10% in people with type 2 diabetes. Researchers at the Diet, Genomics, and Immunology Laboratory of the USDA found that cinnamon helped the body use insulin more efficiently in people with metabolic syndrome, often a precursor to diabetes. Alzheimer’s. This type of dementia is sometimes referred to as type 3 diabetes because of the associations among insulin resistance, memory loss and the risk for Alzheimer’s. Could cinnamon’s beneficial effects on insulin efficiency also reduce rates of Alzheimer’s? A recent review of lab studies showed that the polyphenols in cinnamon, and in its component cinnamaldehyde in particular, seem to prevent the onset of Alzheimer’s or its progression. It could be that, beyond its effects on insulin, cinnamon also plays a role in preventing the plaques, or tau deposits, associated with Alzheimer’s. But it’s important to keep in mind that initial studies have been small, and clinical trials are needed to prove these findings. Parkinson’s disease. Scientists at Rush University Medical Center in Chicago found that, in mice, ground cinnamon can reverse brain changes associated with Parkinson’s. The mice’s livers turned the cinnamon into a substance called sodium benzoate, which then made its way to their brains where it stopped the loss of key proteins and improved motor function. If successful in people, it could ease Parkinson’s symptoms and improve motor function, but it will take human trials to find the right dosage and safety guidelines. Boosting metabolism. Ironically, the spice widely used in many high-calorie treats can increase a person’s calorie burn rate (but it can’t reverse calorie intake, so put down that rice pudding). Researchers from the University of Michigan Life Sciences Institute used experiments on human fat cells to demonstrate that the cinnamaldehyde in cinnamon can prompt fat cells to burn energy, which might mean that it can help prevent obesity. How to harness this reaction will require more research. 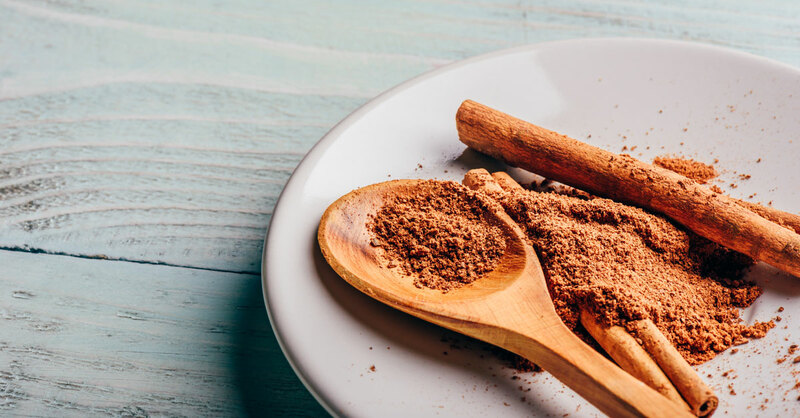 While many recent studies of cinnamon have been small, and larger, longer-term studies are needed to confirm their findings, you don’t need to wait to tap into cinnamon’s probable benefits…and you don’t need to start pouring on large amounts. Much research has found that it takes only a few sprinkles a day (between ½ and 1 teaspoon of ground cinnamon in total) to see health benefits. What matters most is the type of cinnamon you use. The cinnamon of choice is Ceylon cinnamon, derived from the bark of cinnamon trees and grown primarily in Sri Lanka and southern India. It is by far the richest in beneficial nutrients. Most scientific studies have been done with this type of cinnamon. The rub is, this is not the type of cinnamon typically found in supermarket spice aisles. Instead, it typically must be bought at health food stores and specialty spice shops, including online merchants like Penzey’s and Savory Spice, and should specifically say Ceylon on the label. What you’re likely to see in your supermarket and most other places that sell spices is the much less expensive cassia cinnamon, from the cassia tree. It may be labeled “Vietnamese” or “Chinese” cinnamon or, more likely, just plain “cinnamon.” Regardless of its country of origin, cassia cinnamon contains a compound called coumarin, which is not only a blood thinner but can also lead to or worsen liver disease if consumed in high quantities. Various studies have tried to quantify “high quantities”—exactly how much cassia cinnamon presents a danger, and some have found that it’s surprisingly small. Researchers in Norway estimate that people who regularly sprinkle cinnamon on their oatmeal or drink cinnamon tea, or certainly those who take cassia-based cinnamon capsules, could easily be getting too much. So for safety, choose and use Ceylon cinnamon, which has no or negligible amounts of coumarin. As with most spices, cinnamon should be stored in an airtight container in a cool, dark place. The shelf life of cinnamon varies, but a good gauge of whether your cinnamon is recipe-ready is its color—it shouldn’t have faded or changed from when you bought it—and aroma—it should still smell pungent, not weak. Here are two easy-to-make recipes using Ceylon cinnamon from Dr. Galland’s book, The Fat Resistance Diet that can be enjoyed for breakfast, snacks or desserts. Preheat oven to 350 degrees. Place whole apples in a small baking dish along with the juice, which will become a syrup as the apples cook. Sprinkle the apples with the cinnamon and bake for 30 minutes, basting with the juice every 10 minutes. Top with walnuts before serving. Bring a cup of water to a boil and stir in the oats. Cook for 4 minutes. Then add berries and cook until piping hot. Mix in ground flaxseed, walnuts and cinnamon and serve.